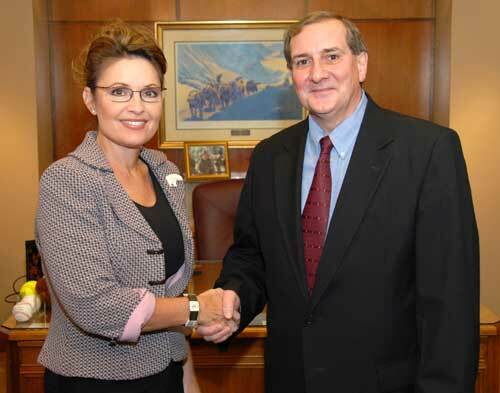 Governor Sarah Palin on Friday selected Fairbanks attorney Daniel E. Winfree as her first appointment to the Alaska Supreme Court. Winfree is the 19th justice appointed to the court. as her first appointment to the Alaska Supreme Court. Winfree and his wife Cathy, a registered nurse, have a daughter, 21, and a son, 15. The Alaska Supreme Court serves as the ultimate court of appeals for the state's District and Superior courts. The chief justice and four associate justices hear cases in Anchorage on a monthly basis and in Fairbanks and Juneau on a quarterly basis. The court also administers the state's judicial system. Winfree replaces Associate Justice Alexander O. Bryner, who retired Oct. 31, 2007 after 10 years service of years on the Court, including three years as chief justice, from 2003-06. "I would like to thank Justice Bryner for his decade of service to the people of Alaska on the Supreme Court," Governor Palin said. Upon receiving the Council's four recommendations, Governor Palin conducted her own background reviews and conducted interviews with all four candidates before making her selection. "Choosing one of these candidates was very difficult because all four are highly qualified, and each has such an obvious dedication to this great State," she said. "I came away from this selection process with a tremendous admiration for these nominees." All Alaska Supreme Court justices face public retention elections, and must step down from the bench upon reaching the age of 70.